Boston Whaler launches its 270 Dauntless this month, a nice option as a versatile towable center-console tender. 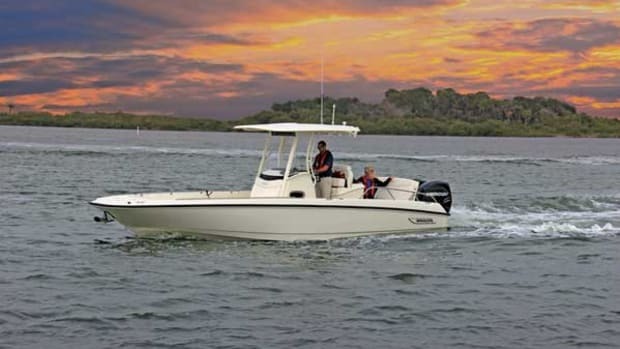 With a length of 27 feet 4 inches (27ft 10in with platform) and a 9-foot beam, the largest boat in Boston Whaler’s Dauntless line offers expanded storage, seating and greater fuel capacity (150 gallons), plus upgraded helm seating and leaning post. 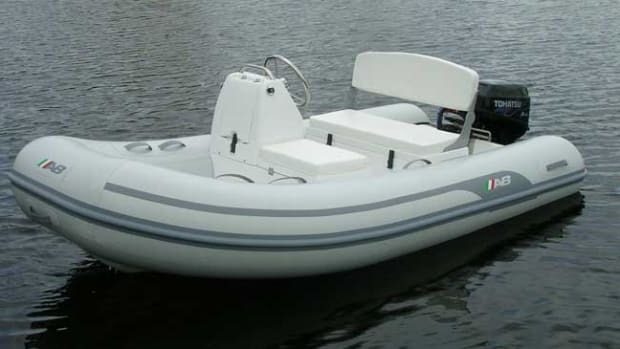 Among the many tenders debuting at the Fort Lauderdale International Boat Show this week is a light and compact tender from AB Inflatables. Equipped with the standard 20hp four-stroke Tohatsu engine, it weighs just 425 pounds. However, the new 10 VSX is no lightweight when it comes to equipment and performance.